I really enjoyed writing this post last year so I thought why not make it an annual thing. 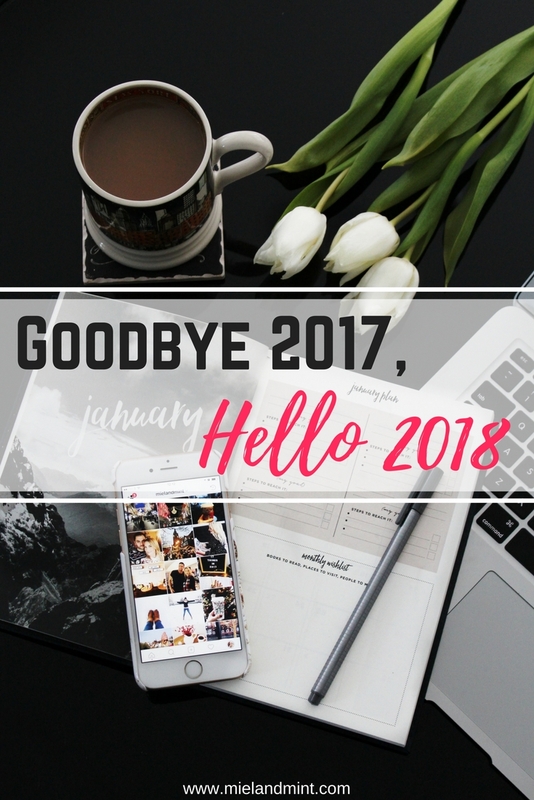 So I made myself a huge cup of coffee and sat down to read my Goodbye 2016, Hello 2017 post. There’s so much in there that makes my heart smile and burst forth with gratitude. There are also a few “resolutions” that sound and look amazing on paper (“Get fit”, I’m looking at you) but stand out like a sore thumb showing me what I haven’t accomplished. Instead of making myself feel bad about not seeing them through, I had a little blast from the past – I remembered one quote I always used to tell myself when I was a teen: “If you haven’t done it, you must have not wanted it enough”. Cheesy? Yes. True? You bet! If I (REALLY) wanted it, I would’ve gone out of my way to do it. I just know myself. But! Instead of beating myself up for not seeing through every single plan/goal/to-do item I had for 2017, I will reflect on what truly mattered and move into the new year with “real” (and realistic) goals. “Get fit”, I’m probably looking at you again. I’m fed up with migrating you from one planner to another. – understood (through some tough personal experiences) how precious life is and it is to be lived fully, with joy and gratitude. This is a bit of a personal and spiritual edit so feel free to read or skip. When I think of life, my number one thought (and priority) in this “category” is health. 2017 was a lot better than 2016 when it came to doctor’s visits. There were less of those (I’m thankful for that). However, the ones that did happen were probably the scariest appointments I’ve ever had in my life. Without going into (any) detail, I just want to say that I am so grateful for LIFE. I am thankful for my loved ones keeping well in 2017 (and pray that will be the case this year and for maaaaaany years to come). One of the most tragic things I cannot not include was the loss of a friend. Our lovely friend passed away on Boxing Day 2017 after fighting a 2,5-year battle with cancer. I miss her so much but I know that I will see her again one day. That’s something this world would never be able to guarantee but God does (through our faith in Christ). Speaking of faith, I don’t think I’ve ever had more uplifting and encouraging moments in my spiritual life than in 2017. Some things and experiences were extremely challenging but I’ve learnt a valuable lesson from each one of them. Life is so precious but eternal life is priceless. I am thankful for many happy and fun moments of 2017. There were LOTS of those. One major highlight of the year was buying our own house! We love it so much! – relax more: YES & NO (I find it difficult to relax completely because my head is always buzzing with things to do). In February we took our annual trip in the UK. 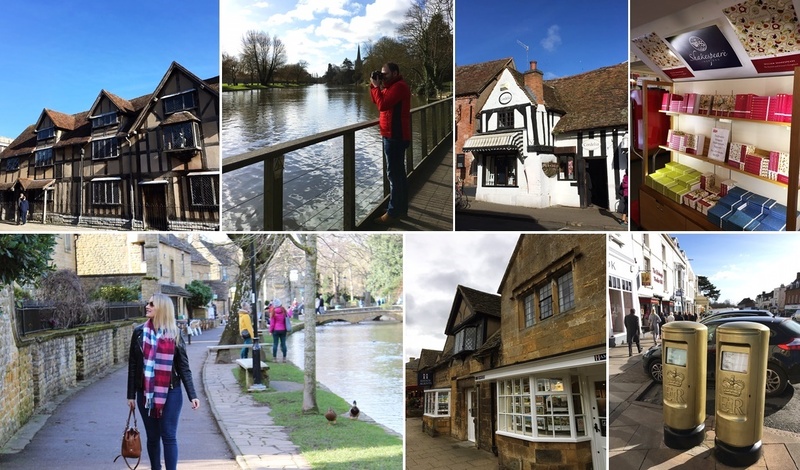 This time we decided to go to Stratford-upon-Avon and the Cotswolds. I’ve been dreaming of visiting Stratford (Shakespeare’s birthplace) since I was a little girl. It didn’t disappoint. The Cotswolds is a beautiful rural area in the south central England and there are so many places to see and things to do there. We loved Bourton-on-the-Water and Stow-on-the-Wold. Make sure you put those little English villages on your bucket list – they are worth it! There were also two trips to Ukraine in 2017: in April and September. Both were great and not only did I get to see and spend time with my family and friends, but also friends from the UK came along and we had a blast all together. When I left my mum & dad’s, we stayed in the hotel where we had our wedding 3+ years ago. I love coming back there. I can’t wait to go this year in March! 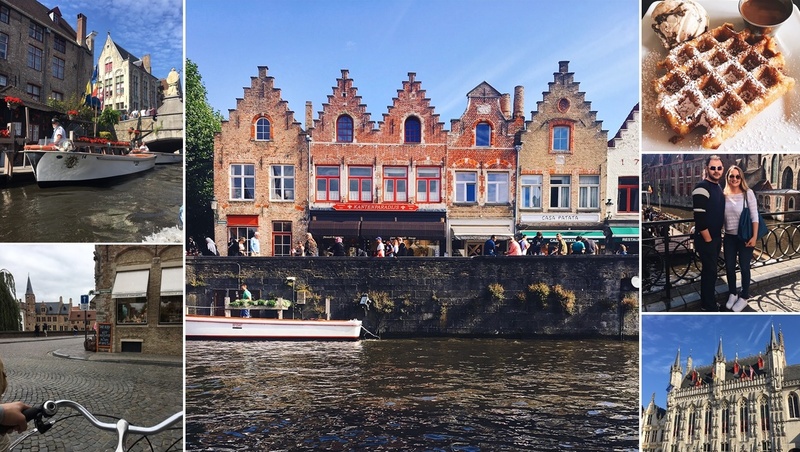 In August, just before moving into our new home, we went to Bruges with my hubby’s parents and his aunt. 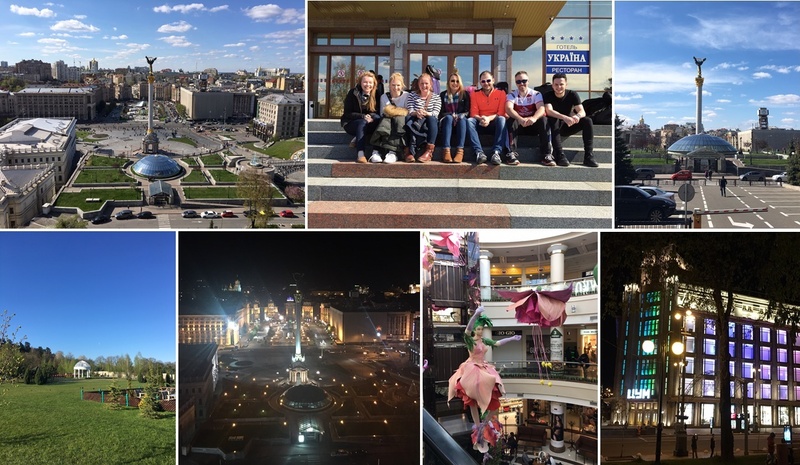 It was one of the best city breaks we’ve ever had! Waffle & ice cream calories don’t count when you’re in Belgium, right? We did so much in 4 days we were there but my favourite two things were exploring the city on a bike and the boat trip. * Do you remember the episode of The Apprentice when they had to give a Bruges city tour? Read what Andrew Brady had to say about it all in my exclusive interview with him. Last but 101% not least… Mauritius. Since we didn’t really have a summer (beach) holiday in 2017, we decided to go somewhere a) different, b) exotic and c) beautiful in October. It wasn’t easy to decide on the destination. 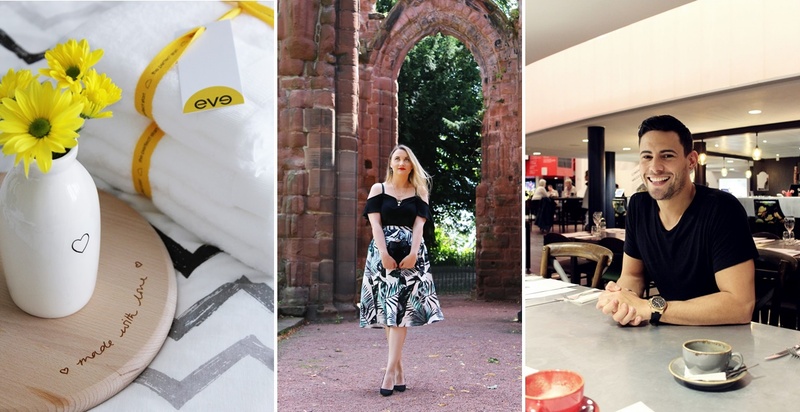 The Caribbean was originally on the list but it was a hurricane season so we had to come up with a Plan B.
Instagram + Emirates Holidays gave us all the inspiration we needed! Hence, the paradise island holiday was booked. Mauritius was absolutely out of this world! It was, without a doubt, one of the BEST holidays we’ve ever had. 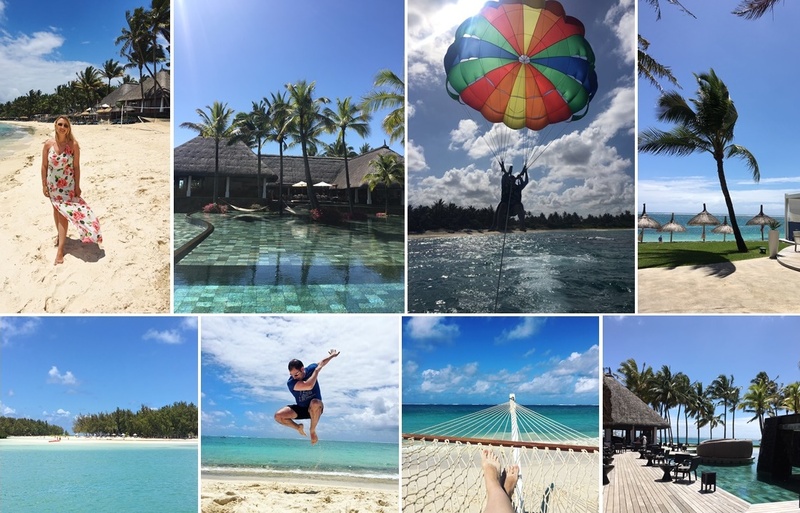 I’m working on a detailed blog post and my recommendations about planning a trip to Mauritius. The do’s and don’ts and all about our experience there is going to be on the blog soon. We traveled to Ireland a few times, including Christmas. I love coming back to the Emerald Isle to see family & friends. Despite having a bit of an “off year”, I had some incredible collaborations in 2017. I’m so thankful to each and every brand, business, company and individual I worked with last year. I’m very excited about new opportunities that are coming up in 2018. I got to work with Comedy Central (!!!) 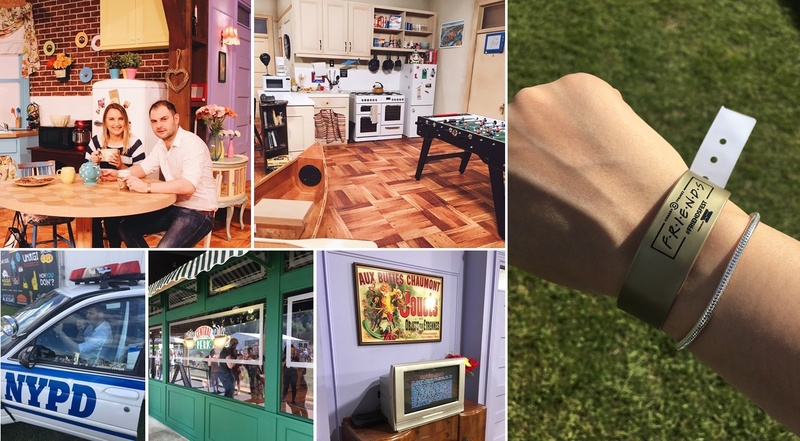 and got a VIP pass to enjoy FriendsFest in Manchester with my plus 1. As someone who can quote every episode of Friends from top to bottom, this was SPECIAL (to say the least)! It was such a privilege to collaborate with Comedy Central. I am excited to have that contact and work with them again in 2018. * One of the most recent collaborations happened just before the end of 2017: StenaLine. You might have started slow (it’s time to get off the “Christmas diet” which consists of too many treats) but I believe you will be a great year. Or incredible. Or whatever you want to be. Just be good. 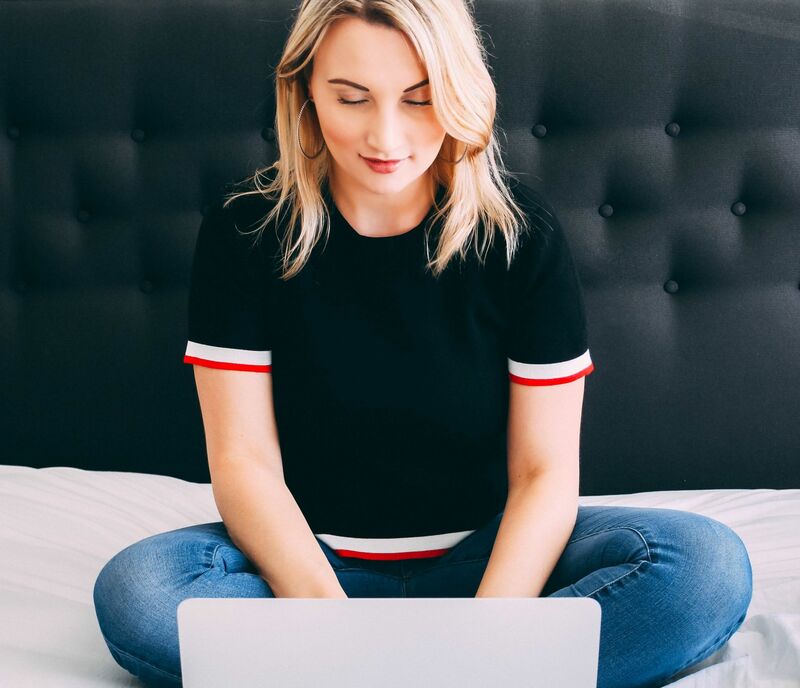 – take blogging & my social media platforms to a whole new level: In December I said “buh-bye” to Blogger and decided IT WAS TIME I owned my content and took full control of my blog. WordPress has been such an amazing discovery, and even though I’m still learning/tweaking things (so please bear with me), I love this platform. I love my blog again! Some great collaborations + fun content is planned for this year. I am also going to post more consistently and frequently. Taking a leaf from my own book… errr, blog post: Why We Lose Our Mojo & How To Get It Back. – read more: This is an ongoing goal and I am hoping to read at least 20 books this year, including reading the Bible in one year with The Bible Project again. Would you be interested to know what I’m going to read? It’s a blend of everything: organisation, blogging, fiction, light reads, neuroscience, mindfulness, Christian books and more. – get fit: I HAD to add this one to the list. I have a mini goal to lose 11lbs (5kg) by my birthday in May. Also, I want to get stronger and feel lighter, healthier and more energetic. – clean up my diet: I love cooking and, in general, I think I make quite healthy meals (I always go heavy on veggies & protein!). However, there’s one element I’d like to change – eliminate sugar. I don’t want to do it in one go because I know I’d fail the next day. I am cutting down bit by bit: instead of 3 cookies I’d have 1. Then next week I will hopefully manage and have my cup of tea without any sugary snacks. – have no fear: This is a very vague statement but I am going to apply it to a few very specific (private) goals I prefer not to talk about publicly (or at least, not yet). There’s one goal I want to achieve, and fear better step aside. I want to get a UK driving license. I have my European one but it’s time to make the switch. I will need to book the lessons, the test and do it all from scratch. I’m nervous, a little bit scared but I am going to do it! 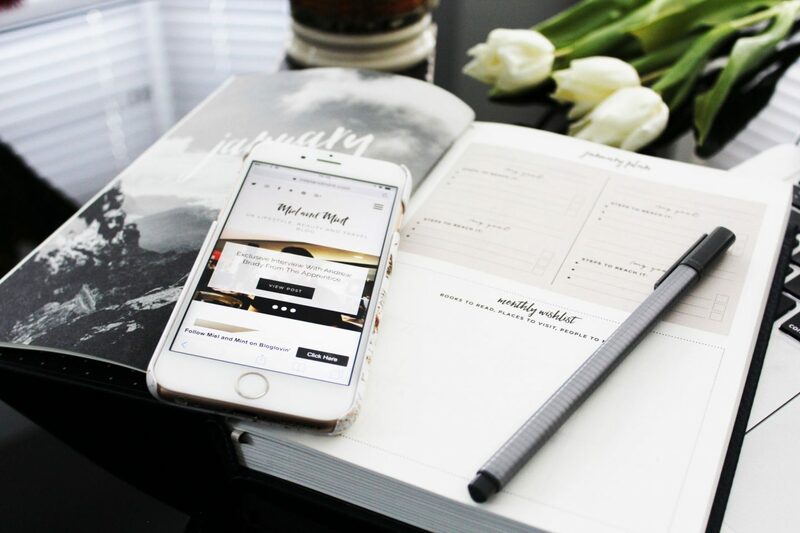 – stop procrastinating and get things done: This is a big one for me. 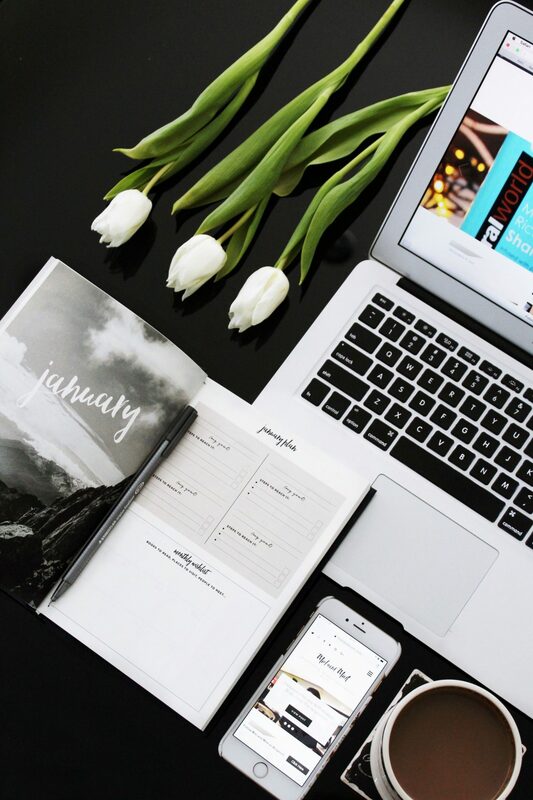 I read quite a bit on procrastination and why it happens and dug deep down to find out my own reasoning behind putting things off. Personally, I have a bit of an issue with perfectionism. Having figured that out, I am now doing everything I can to still get the job done in the best way possible without beating myself up that it’s not “perfect”. Not sure anything can ever be 100% perfect. In addition, I’m going to plan better (saying no to unrealistic 20+ items on my daily to-do list!) and, as a result, execute better. – manage time better: Another HUGE goal I am going to work on very hard this year. Sometimes I’d catch myself thinking, ‘How in the world does a mother of 3 get one hundred things done, and I can’t finish these two projects? !’ And the answer is she probably doesn’t. I’m just observing snippets of someone’s life on Instagram, and while I do admire their time management skills, I have to remember that 2 minutes of their Insta stories is not a full picture. Nevertheless, I need to be aware how I spend my time, evaluate how much time each task might take, schedule better and make the best out of each given day. – spend more time with those I love and with the right kind of people: In December 2016 I had a bit of a revelation – it’s okay to let some people go. I’ve always believed I can be friends / get along with pretty much anyone. While that still stands strong, it’s okay to let the negative and toxic people go. Life is precious and I want to make conscious decisions who I want to spend my time with. – travel: A forever goal. Traveling me = happy me. We have some very exciting trips planned already – watch this space. – bake: Okay, I’ve never been a pro baker. I don’t think I’ve ever enjoyed baking (because of a number of failed attempts) but I have always wanted to bake. Now that I got a Kitchen Aid as one of my presents for Christmas, I can make it happen. Any ahhhhmazing recipes you’d like to share? Please, leave links. – love unconditionally, be selfless & kind: Just like I mentioned in my 17 Things In 2017 post, taking care of yourself and getting your (own) priorities right is important. But! There’s a fine line between all that good stuff and going full on “my-own-self-is-the-centre-of-the-universe”. Last year I saw how damaging being selfish can be, especially to those we love the most. This year I want to love more, listen more, help more, be there more for people who mean the world to me. 2018 is going to be a GREAT ONE! Happy new year, everyone! Leave a comment and tell me about your biggest highlight of 2017 & share one of your goals for 2018.